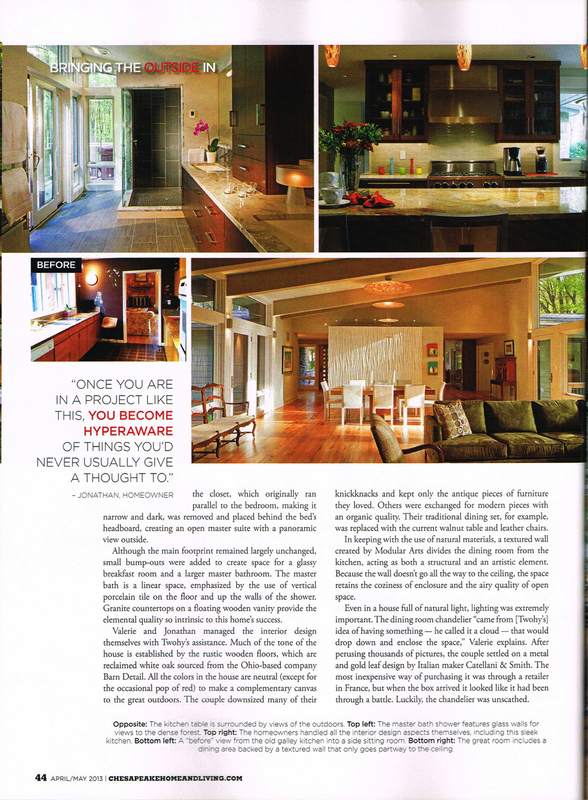 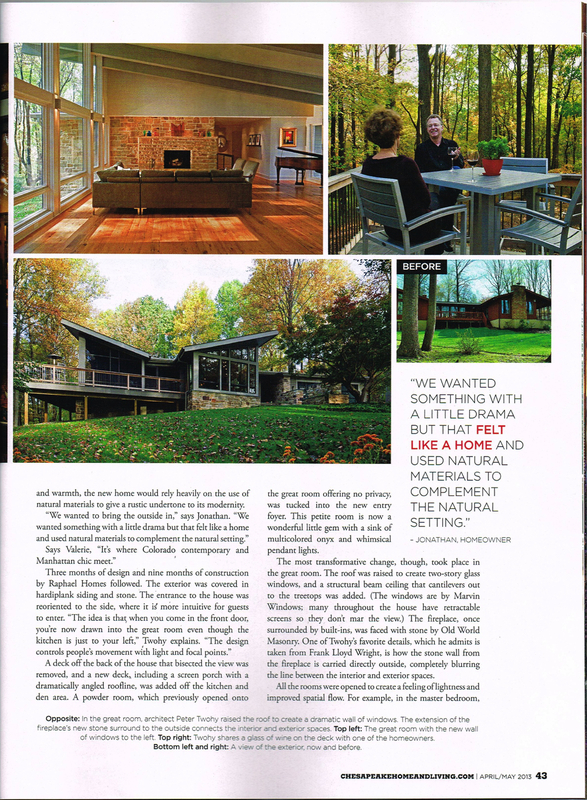 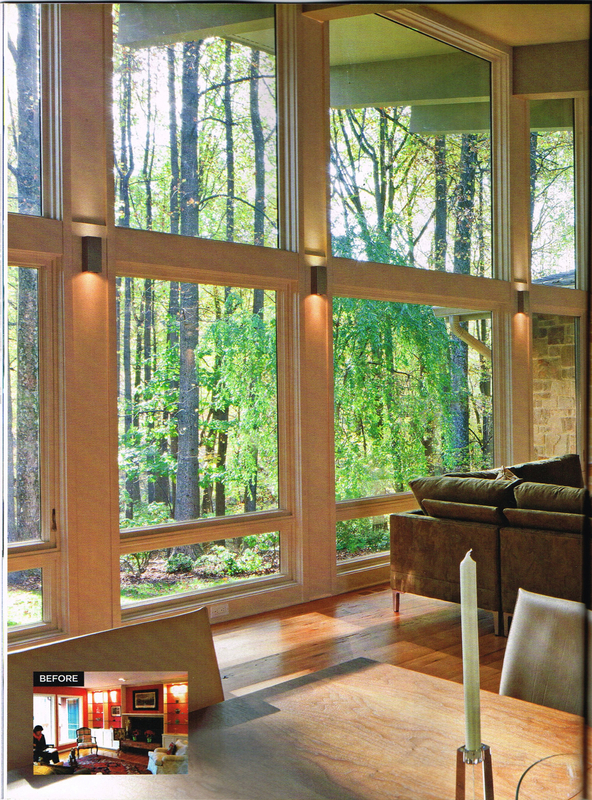 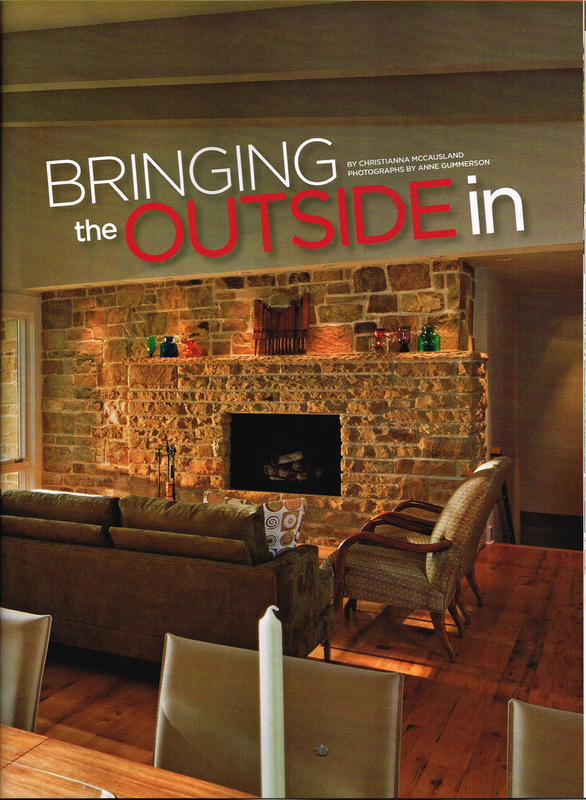 Jonathan and Valerie’s Home was featured in Chesapeake Home & Living’s April/May 2013 issue. 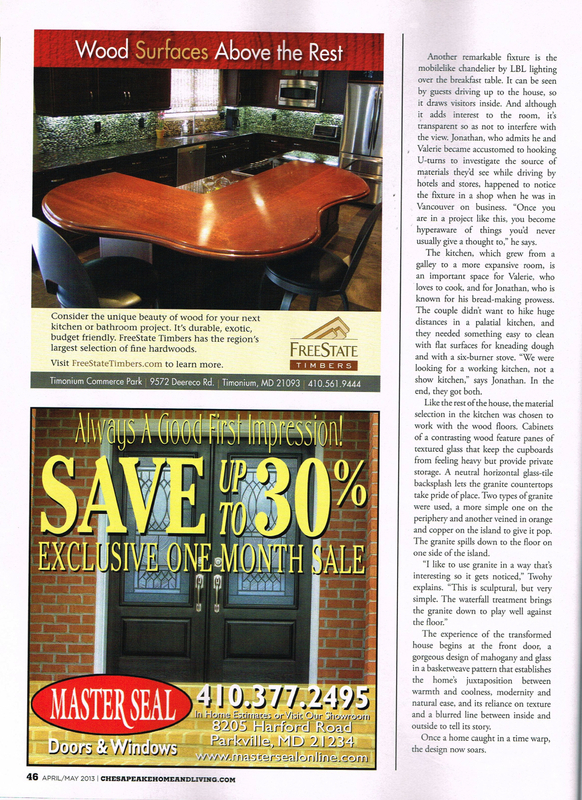 Click on the article pages for a larger view. 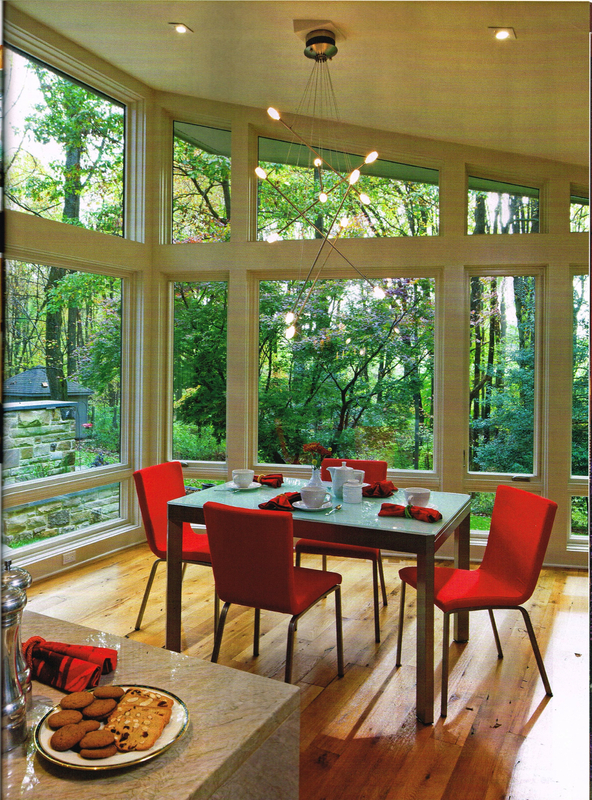 See more about Jonathan and Valerie’s home in our Portfolio. 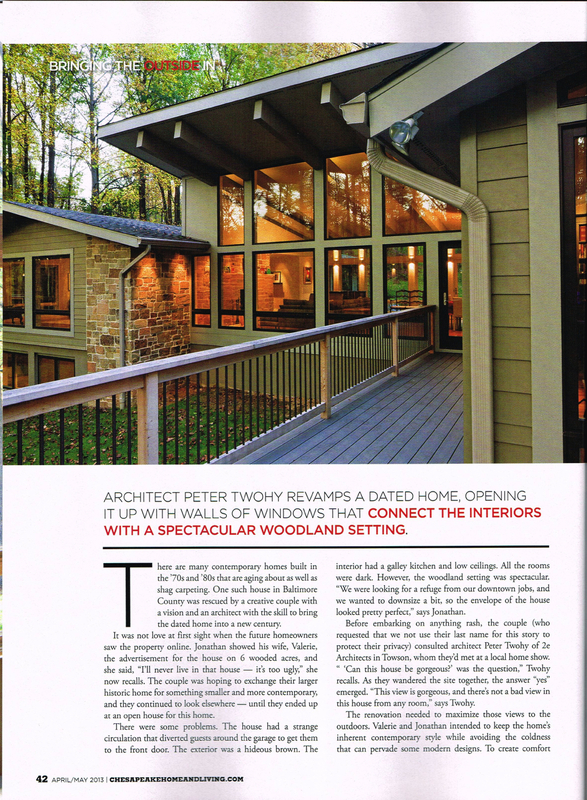 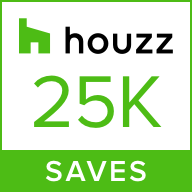 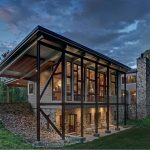 In addition to this article, 2e Architects also received an Editor’s Note.